Montreal is the second largest city in Canada and the largest in Quebec. 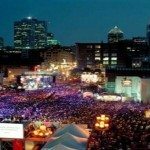 One of the most historically significant cities in the country, Montreal is also a hotbed of contemporary culture, with much of the country’s most significant music, theater and film emerging from the city. Montreal is a bilingual city, although it is located in Quebec and the culture is largely French. Because it is such a metropolitan business hub, everyone in the core of the city is bilingual and nearly everyone in the entire metropolis is as well. 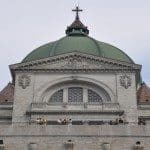 It is a huge city with enough to do to keep most people busy for weeks but here are some things to get started on during a visit to Montreal. Taking a walking tour of old Montreal, whether with a guide or on your own, is the one thing you must do during your stay in the city. Shops, galleys, restaurants, hotels and churches from a bygone era of Canadian history are everywhere in the old city. 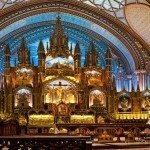 It is a simple matter to spend most of a day gazing at the buildings, let alone seeing inside such tourist attractions as the Notre Dame De Montreal Basilica. This small mountain at the heart of the city is surrounded by green space and is part of the largest park in the city. Hiking trails and tours are available and there is an interpretive center to visit as well. Mount Royal is surmounted by the large, lighted cross of Montreal, which is one of the most enduring symbols of the city. There are clean, open walking roads that go to the summit where you can stand directly beside the cross itself. Although this city plays host to many festivals throughout the summer, none is as world famous as the Just For Laughs Comedy Festival. Nearly every comedic talent in the world has played at this festival at one point of time or another, and the festival is always full of legendary comics such as Robin Williams and John Cleese, as well as up and comers that are sure to be the next legends. 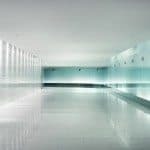 Montreal has an enormous underground network of pathways, as well as entire shopping malls that are all located underground. The practical use of space for a city located on an island provides miles of shopping all under the feet of the streets above. It’s actually quite amazing to think that, while your vehicle is cruising down the road, someone is purchasing goods directly below the roadway. 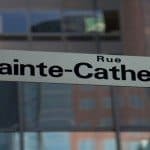 Saint Laurent is the most famous street in Montreal. Walking its length you will find shops, bars, restaurants and national institutions such as the National Theater School. The street runs forever, and one can make a day of simply walking up and down its length, stopping to view anything that catches your interest. Jean Nilson, born in Sherbrooke, Quebec, on July 2, 1972. She has a diploma in tourism and resort management. Jean joined 5 BestThings on Feb 2, 2010 and worked as an editor specialized in Canadian history, and tourism, mainly the province of Quebec.